Daisy Twinkle Eau de Toilette. In ode to an oasis where the sunlight glistens off the waters of somewhere with endless blue skies and sparkling sunshine, Daisy Twinkle is a sunny and fun spirited fragrance that transports you to a beautiful place. 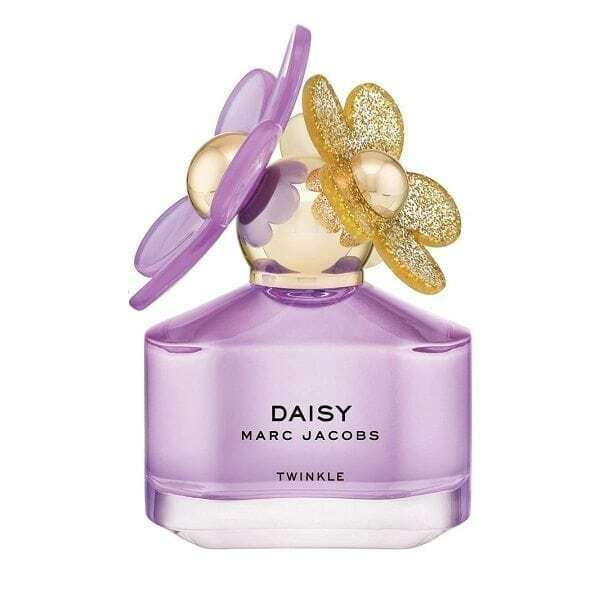 A limited-edition for Spring/Summer 2018 this reinterpretation of the original Daisy, Daisy Twinkle is a green, fruity, floral fragrance that has a youthful energy. The fragrance opens with a juicy burst of wild berries mixed with hints of violet leaves, whilst bright and creamy white woods create a warm and sensual scent as it dries. Available in a Limited Edition 50ml Eau de Toilette Spray.